If you need car key cutting service for a Mercedes, contact Car Key Assist now for professional vehicle locksmith. Lost Your Mercedes Car Key and Need A Replacement or Spare? If you’ve lost your Mercedes keys, we can provide you a replacement key in the fastest times possible, supplying replacement keys for Mercedes across Birmingham and the West Midlands. We can provide locksmith services for a variety of Mercedes models, including A Class, B Class, C Class, E Class, S Class, G Class, R Class, CLK, CL, SLK. SL, SLS, CLA, Citan, Sprinter and Vito. 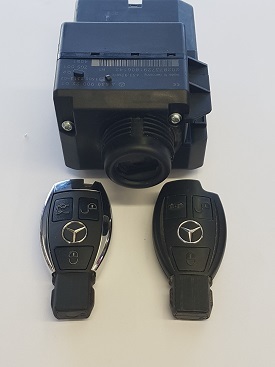 From Mercedes key cutting, Mercedes key programming and a range of other automotive locksmith services, Car Key Assist can guarantee you a reliable service that will get you back on the road in the fastest time possible. If you are stuck on the roadside, we have a mobile van with key and programming equipment to help your keys out on the drive or by the roadside. We have a team of experts who are trained in all specialist auto locksmith equipment, using unbeatable knowledge to get you back on the road. Contact Car Key Assist now for the best vehicle locksmith services in the West Midlands, Shropshire, Staffordshire, Herefordshire, Worcestershire and Warwickshire.